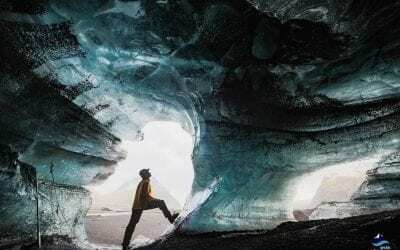 This mesmerizing tour into a man-made Langjökull ice cave will put you in touch with the heartbeat of the glacier. 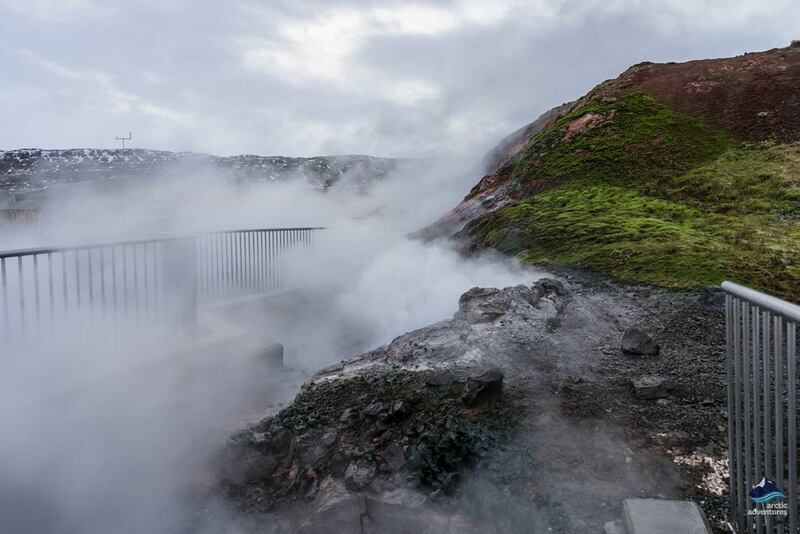 See lava fields, Hvalfjörður, hot springs, and incredible waterfalls, then take off in the Monster Glacier Truck for an incredible magic carpet ride to the ice tunnel near the peak of Langjökull glacier. 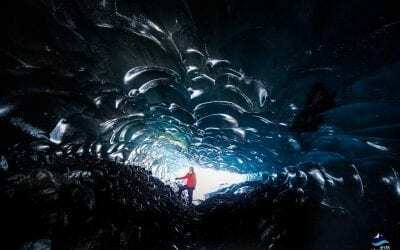 Langjökull is the second largest glacier in Iceland and a real glacier wonderland. This tour will keep you busy exploring some of Iceland’s absolute highlights from day to night! This tour puts the Ice in Iceland, literally. 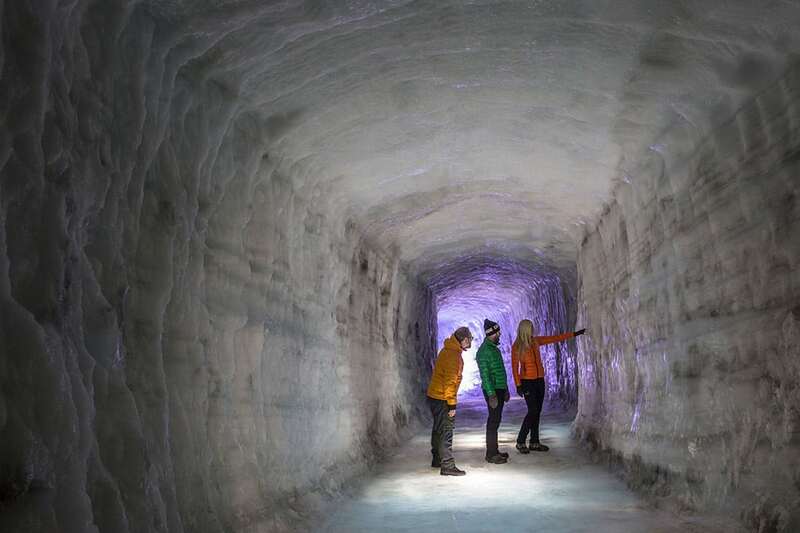 Our Ice Cave tour takes glacier exploration to a whole new level! 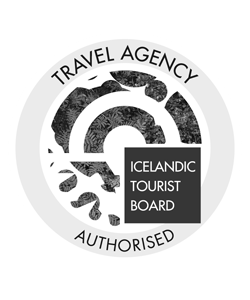 We will depart from Reykjavik at 9 AM and take you to Iceland’s second largest glacier, Langjökull. 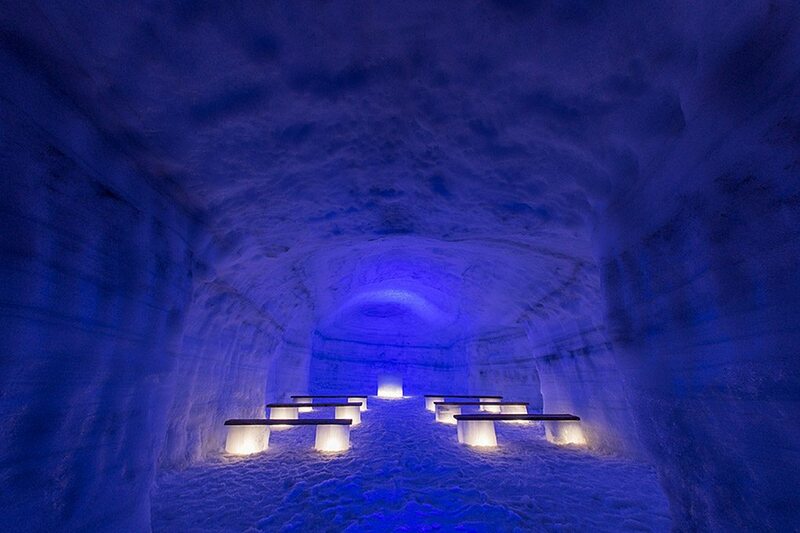 This man-made ice cave is Iceland’s newest attraction and your chance to venture into a world of glacial ice! 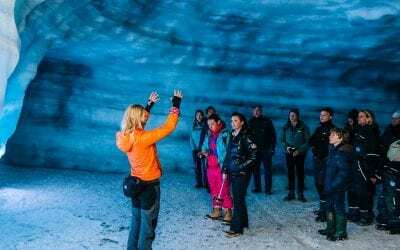 This tour really will take you into the magical wonderland of the glacier; but first some amazing sightseeing. On our way to the glacier, we will stop at Deildatunguhver, the most powerful hot spring in Europe. 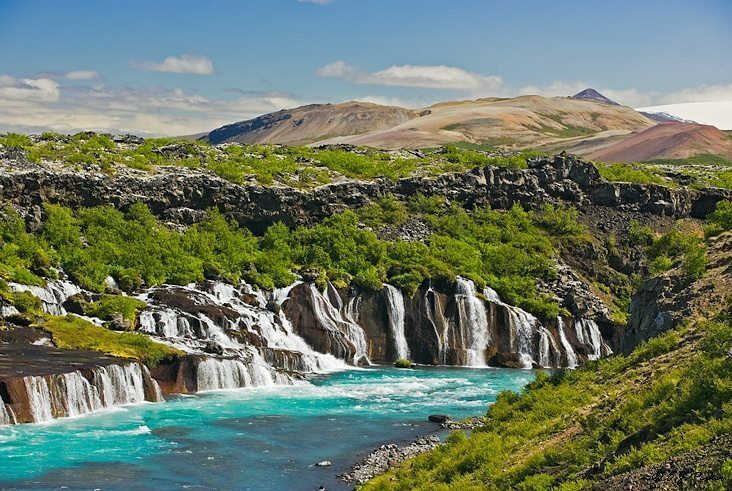 You will also see the incredible Hraunfossar waterfalls, many thousands of rivulets emerge, literally through the lava of the Hallmundarhraun lava field. 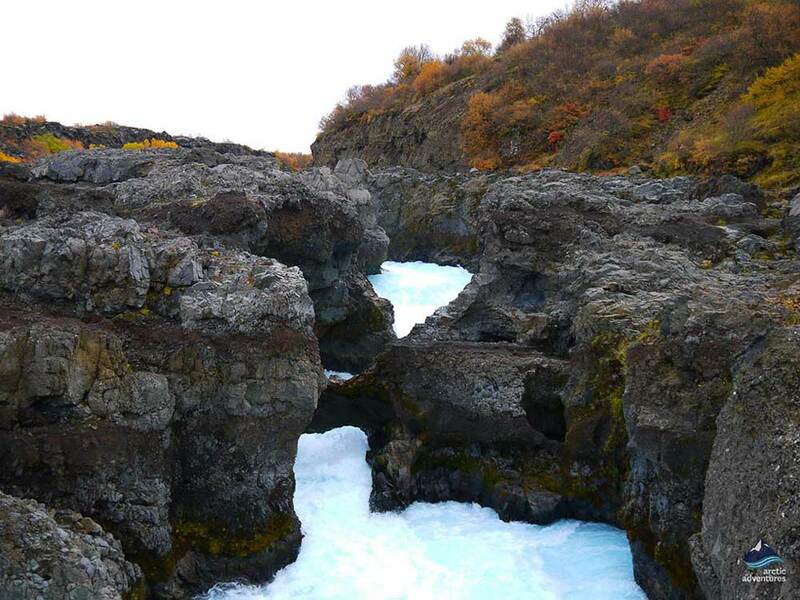 Hraunfossar means ‘Lava Falls’, we check out some stunning lava formations in the area. Another stunning waterfall named Barnafossar is found a few hundred meters from Hraunfossar. After lunch at a café in the picturesque area of Husafell it is onwards to Langjökull, the second largest glacier in Iceland. 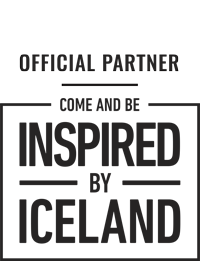 At the edge of Langjökull, you will step aboard our ice terrain vehicle, the Monster Truck. The huge windows give fabulous views as you travel softly over the ice to the man-made Ice Cave close to the pinnacle of the glacier. It feels like a magic carpet ride on the roof of the world. 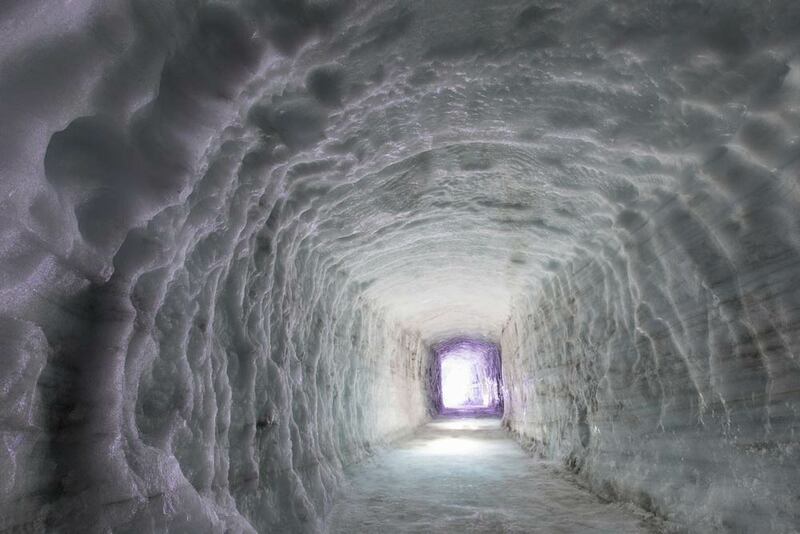 There are incredible ice formations inside the ice cave. Deep moulins delving into the ice, ice layers, and great labyrinths of sharp crevasses. You will get about 50 minutes to explore the features of the ever-changing and always moving glacier. 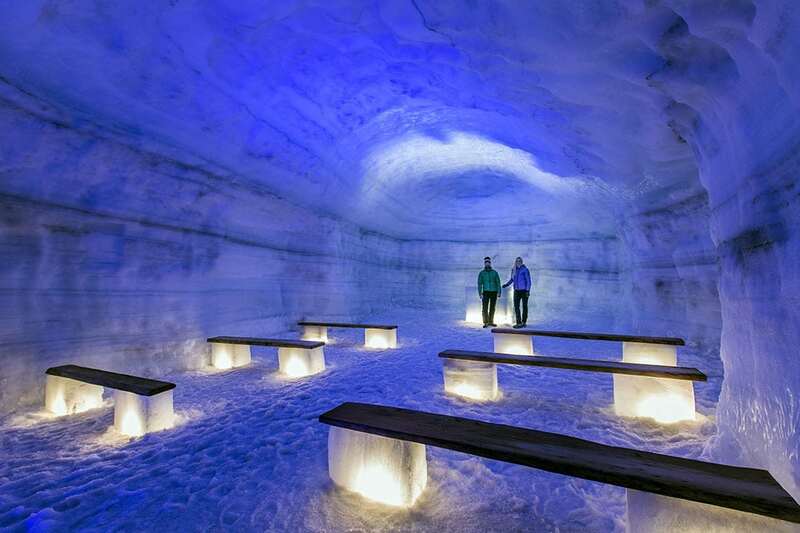 Into the glacier – although the ice cave is man-made there are always changes fashioned by nature. Inside you will see natural ice formations which are evolving and also much older ice, learning how snow has amalgamated into layers of ice is fascinating. Deep inside Langjökull´s 953 km2 of ice, you get a snapshot of how the glacier developed and various kinds of ice and snow. 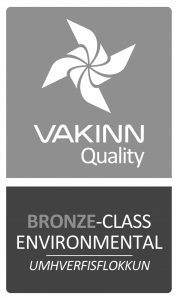 You return to Reykjavík at around 18:30 in the evening – the weather in Iceland can influence schedules and close some highland routes. After a full day and evening of adventures, we will drop you off in the city. Pick up: For those who have chosen to be picked up in Reykjavík, the pick-up time is at 08:30 am. Picking everyone up can take up to 30 minutes, your patience is greatly appreciated! We tried a few companies during our travels in Iceland and I must say artic adventures was the best one. Guides were super helpful and was there to help whenever we needed something. The day was perfect and I would recommend them to my friends. Just want to say thank you for giving us a wonderful send off as our trip was booked on the day before we flew home. I enjoyed a beautiful, wonderous, and memorable trip to Iceland thanks to our guide, Pall Asgeir Asgeirsson! I learned much about the history, culture, and geography of Iceland. 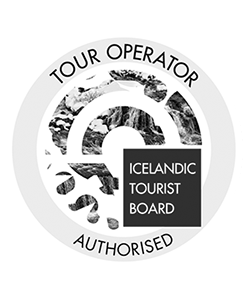 Stopping to see the Icelandic horses, stopping to see the hot springs and the magnificent waterfalls, and walking into the glacier! Wow! What an experience. This tour was a great overview of Iceland. We went far and due to travel and weather we couldn't hike for long but on my next trip I know where to go and I know how much time I will need! I had a beautiful experience and recommend the tour to all.